Much of America’s educational system is in trouble; often suffering from a lack of direction and haphazardly incorporating solutions to little understood problems. One method of bringing America’s educational system up to standards is through the incorporation of a technology plan that will propel current school systems through the twenty-first century and beyond. This is no easy task, but can be done by creating a plan that is capable of self-evolution. 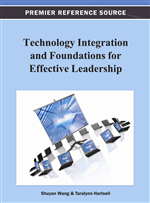 This chapter provides an overview of the tools necessary for the creation of such a plan, beginning with the technology plan itself. The overview then continues through changes and prevention in respect to a plan’s failure, and the steps of a technology plan’s implementation. This includes conducting technology planning meetings, establishing professional development, designing paths for and tracking of the technology plan’s progress, and implementing effective budgetary strategies. The pre-planning stage of a technology plan essentially sets the pace and the tone for a plan's implementation. This is done by gathering data in regard to the needs of students, educators, schools, community, businesses, and industry. Through an analysis and evaluation of the data, the formulation of a plan of attack should begin. The plan of attack must include (a) setting long term goals and short term objectives, (b) being in compliance with a school or district's vision and mission statement, (c) finding funding and then monitoring funding for potential cost overruns and possible misappropriations, and (d) developing a methodology to re-evaluate the technology plan during implementation as circumstances dictate. An effective technology plan should be open-ended, or cylindrical in nature. At the end of the first cycle, the plan is re-evaluated in regard to the plan's successes and failures. Once re-evaluation has taken place, a technology plan should be revised and re-implemented, thus starting its cycle again. In other words, a technology plan should be implemented in such a way as to become a living breathing entity unto itself.